Lola is a daughter of Rain (Ch Ridgesetter Dontrainonmyparade), hence her registered name. From the moment she was born, she caught our eye and has never disappointed. Small, shapey, standing over ground, sound, true daisy cutting action inherited from her dam and grand-dam (Clover). Lola is a sweet dog and a pleasure to live with and a fabulous small size. We are thrilled with Lola's success in the showring, rarely losing her class in group and converting some to class in show. In March 2017 Lola won the ultimate BEST IN SHOW at Camden Show Society - the precursor show to Sydney Royal. 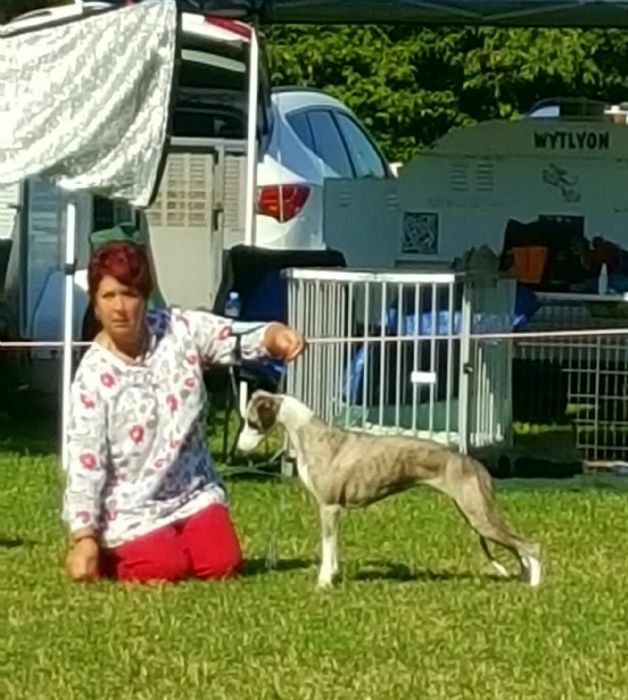 She also won a BEST IN SHOW at Bermagui Kennel Club February 2018. Lola - she is a showgirl!